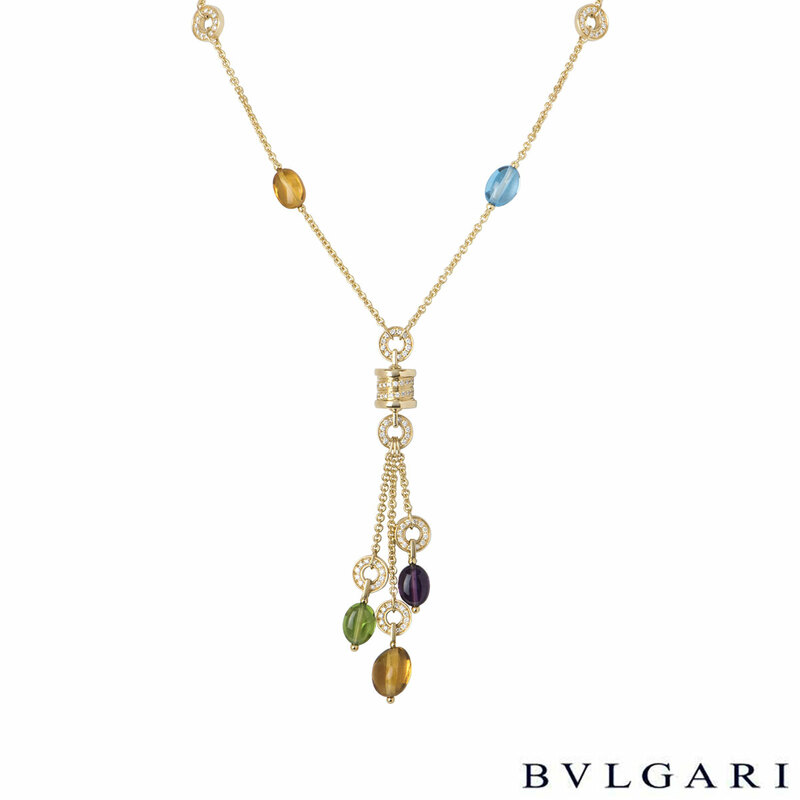 An 18k yellow gold multi-gem necklace by Bvlgari from the B.zero1 collection. 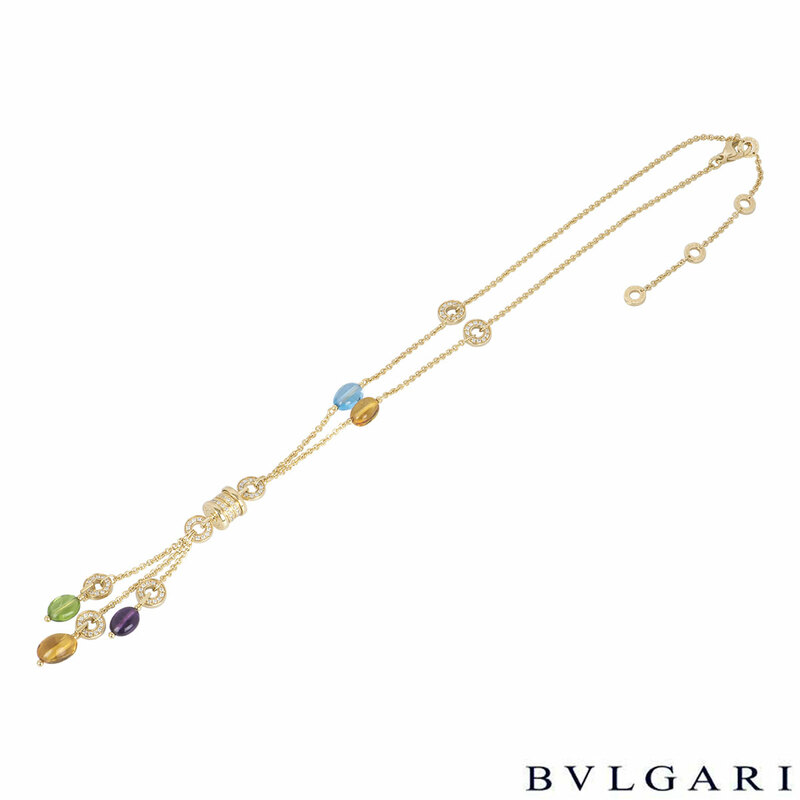 The necklace comprises of a single citrine and blue topaz bead in the chain leading to the 'Bvglari Bvlgari' barrel which is partially set with round brilliant cut diamonds. 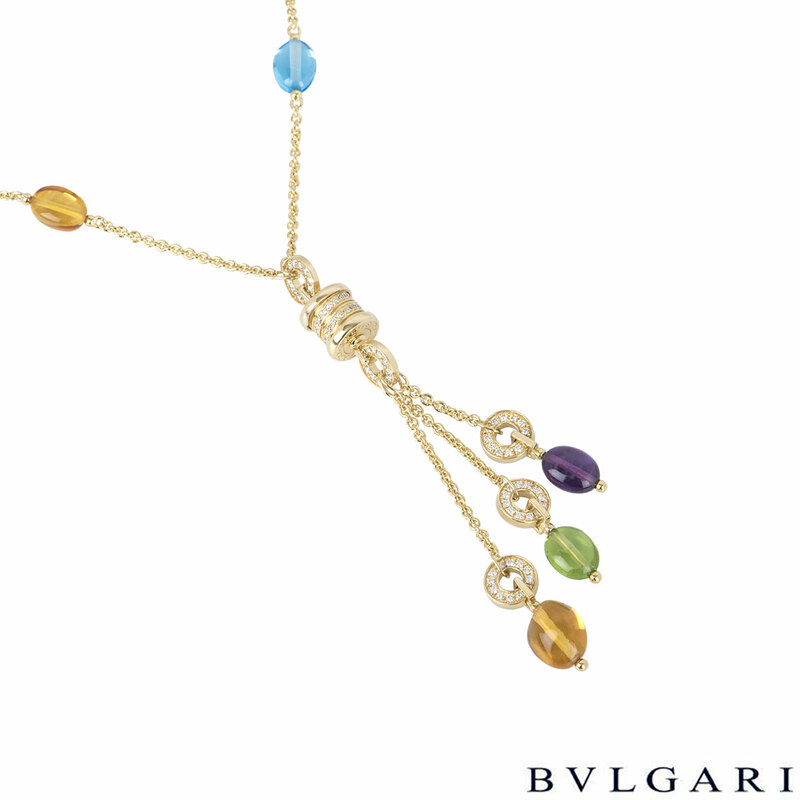 Suspended beneath it are 3 freely moving circular motifs set with pave round brilliant cut diamonds each with a single citrine, amethyst and peridot. The amethyst and peridot have a weight of 0.50ct, topaz has a weight of 0.65ct, the citrine has a total weight of 1.35ct. 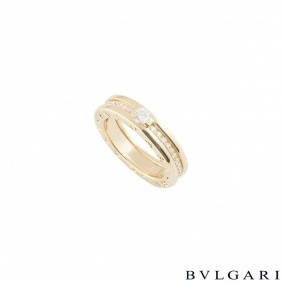 The round brilliant cut diamonds have a weight of 1.26ct. 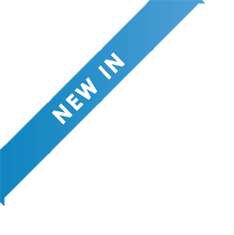 The necklace features a lobster clasp with an adjustable length from 15.00 inches to 17.30 inches and a gross weight of 22.60 grams. 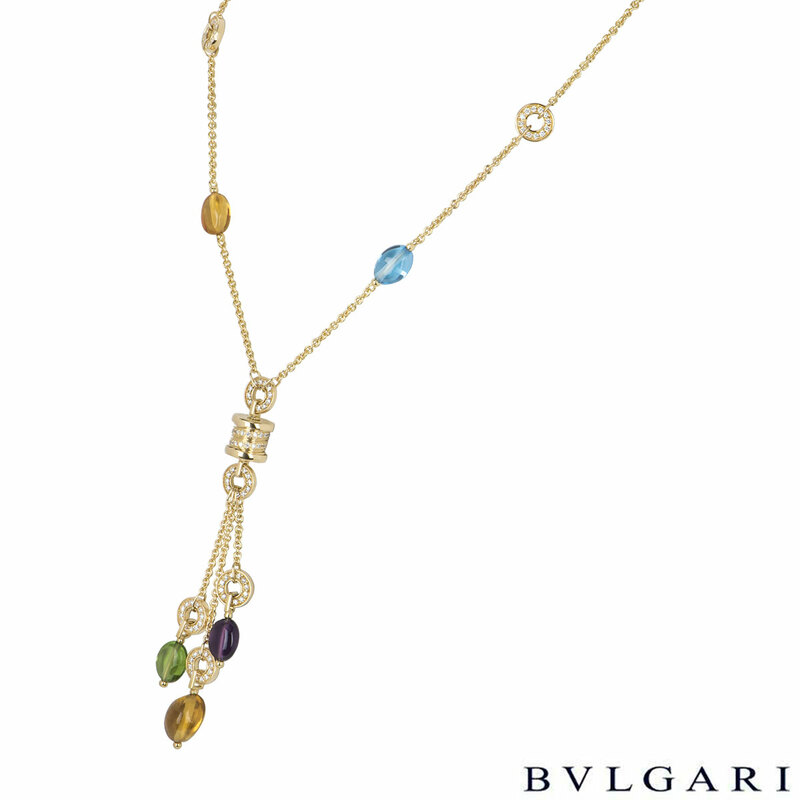 The necklace comes complete with a Bvlgari presentation box and our own certificate of authenticity.